BBC Radio 3 and Wellcome Collection have announced the world premiere live broadcast of Max Richter's ground-breaking and experimental new composition "SLEEP", to be performed live from Wellcome Collection into the early hours of the morning as part of the Why Music? weekend. 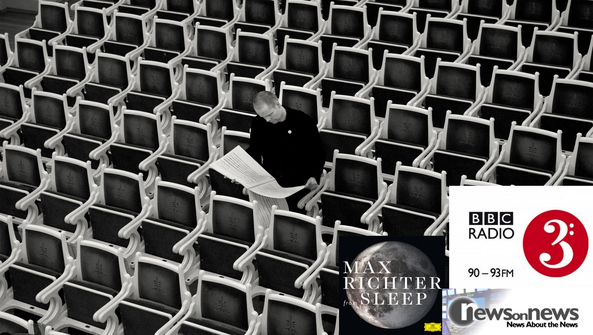 BBC Radio 3 will air the world premiere live broadcast of Max Richter's SLEEP live from Wellcome Collection on from midnight on 26 September to 8am on 27 September. Composed in consultation with renowned American neuroscientist David Eagleman, the 'lullaby for a frenetic world' is meant to be heard whilst sleeping. Audiences across the UK are invited to hear the broadcast as they sleep whilst the composer experiments to find out what effect hearing music has on our subconscious mind.